Sikkema Jenkins & Co. is pleased to present an exhibition of new work by Erin Shirreff, the artist’s second solo show with the gallery. Erin Shirreff’s diverse body of work, which includes photography, video, and sculpture, is united by her interest in the ways we experience three-dimensional forms in an age in which our perception is almost invariably mediated by still and moving images. Her work explores the gap between objects and their representations, and the materials (and materiality) of image-making. A new video, Son (2018), presented as a large-scale projection in the main gallery, interweaves appropriated and handmade still images into a long-duration animation. 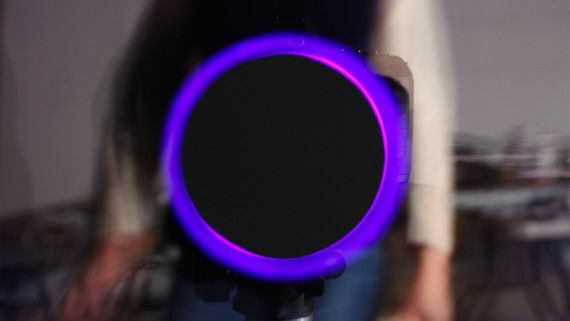 Rooted in the artist’s experience of the solar eclipse that was visible in the United States in the late summer of 2017, the video centers on a large, dark, circular form that slowly takes shape and shifts identity, changing scale as it locates itself within a cosmic plane or the interior of the artist’s studio. An earlier iteration of Son was presented as part of Shirreff’s solo exhibition in Italy earlier this year, at the Palazzo De’ Toschi in Bologna, curated by Simone Menegoi. For a new series of wall-based works, enlarged scans of halftone book reproductions are printed onto sheets of aluminum that are then cut into shapes – arcs, sticks, curves – and layered in informal compositions within deep-set frames. The works are amalgams of analog and digital materials and processes, and incorporate backdrops of solid colors sourced from the process of making four-color scans of black and white images. These new works relate to Shirreff’s earlier series of Drop sculptures that translate hand-cut scraps of paper into large sheets of raw steel, and to her photographic series Relief —they continue Shirreff’s exploration of scale, material translations, and possible relationships between picture and form. The passage of time and the effects of natural and artificial light are ideas and motifs that recur in Shirreff’s work, and are forces intrinsic to the process of making cyanotype photographs, a practice that the artist continues to explore. The exhibition includes three new large-scale cyanotype photograms that are assembled through collage. Shirreff exposes, cuts and layers her elements, creating compositions that appear radically flat and painterly but include slight evidence of the studio process, the layers of fabric giving texture to the photographic plane. A series of intimately scaled sculptures on pedestals throughout the gallery appear as impromptu studio sketches or ephemeral tabletop still-lives made by chance with familiar materials over the course of the day. Casts of common objects, metal fragments and paper cutouts come together in tenuous arrangements that speak to repetition, daily routine, small moments, and the unexpected process of making. Lastly, small-scale cyanotypes exposed directly on pages torn from books echo the shifts in scale present elsewhere in the exhibition.